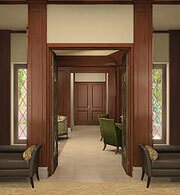 Elite Floors, Incorporated was founded in 1955 by Mr. And Mrs. John Colabatistto of Yonkers, New York. John Colabatistto learned and perfected his skills as a master carpenter during World War II. John and Camella started Elite Floors in a small store on Lockwood Avenue in Yonkers to provide flooring products and services to local residents. Gene and Marlene renewed their commitment to Yonkers by erecting a building on Saw Mill River Road in the early 1980’s and relocating Elite Floors to this larger, more modern facility. Elite Floors, Incorporated is now operated and managed by Gene and Marlene’s son, Ray. Elite Floors continues to grow under Ray’s leadership as they participate in larger, more complex work. Ray manages a thriving business that still provides the highest quality workmanship that his grandfather John insisted upon. Besides owning its own building, Elite Floors operates its own fleet of trucks and provides employment for dozens of tradesmen. 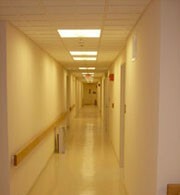 Elite Floors, Incorporated is one of the few remaining full service companies in the flooring industry. Their installation crews are organized to handle any job, regardless of its size or complexity. The competence and integrity of its staff and the quality of their work distinguish Elite Floors. Its highly skilled craftsmen act as mentors for new employees who wish to learn the trade and make it their life’s work. Elite Floors, Incorporated is located at 691 Saw Mill River Road in Yonkers, New York 10710. Their phone is 914-965-2515 and fax is 914-965-1235. Copyright 2017 Elite Floors, Inc. All rights reserved.